Let’s face it. Warlords of Draenor was a move away from the center of World of Warcraft. While each expansion has its own flavor and spices, WoD definitely broke the palate for the casual WoW player, at least in my experience. And here’s why that wasn’t a bad thing. To begin, I’ve walked away from each of the last four expansions. I took some time away from Wrath of the Lich King because my experience was saturated. Five years of WoW had given me a rich, engaged experience that I had never experienced before. With friends leaving the game, and an increased work schedule, I walked away. Then came the Cataclysm trailer. Remember that? It was everything I thought I wanted from the next expansion. But something happened in that translation: character classes were overly tweaked and the actual game play experience lessened. I wasn’t prepared for that. I struggled really immersing myself in that experience, and had the daily quests not been truly enjoyable, I would have probably cut my play time in half. Again, I walked away. Then came the dancing pandas. Well, it’s been a fun ride, WoW. Thanks for all the memories. If I didn’t like Cata, sure wasn’t going to enjoy playing against npc pandas. Funny thing though. A few friends that hadn’t played in a couple years started playing again, and they convinced me to download Mists of Pandaria. I thought to myself, what’s the worst that could happen? I level a toon to max, raid a little bit, make jokes at friends’ expenses, and then retire. But then I fell in love with the new features: named rares planted throughout the maps, an improved LFR system that made raiding on the weekends fun again, and the Timeless Isle. Alas, switching careers and a quick promotion took my time. I walked away. Then came the promise of a revolutionary feature in Warlords of Draenor: garrisons. The ability to build your own castle, customize its buildings and correlated outputs, and send npcs on quests for your benefit. The problem with the garrison, from my experience, wasn’t that it was too hard or not enjoyable. The problem was that the end result of maxing out your garrison just didn’t offer any rewards I wanted. Which made me feel like WoW was more about the journey than the destination, and while philosophically I understand that, I demand a destination worthy of the journey. I also cursed to the WoW gods that I couldn’t use my flying mounts in the xpac. I still don’t know why the Blizzard brain trust thought that was a good idea. The only bad move that trumped that one was removing tier gear from the LFR system. No thanks for that move. I quickly walked away. 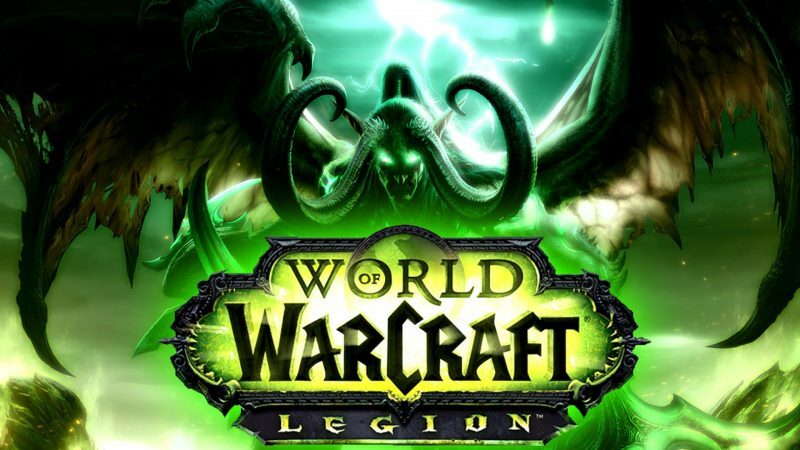 Now we have Legion. I’m not paying much attention to what people are writing about it. What I am paying attention to are the features that are going to affect my experience with it. Tier gear is returning to LFR. Class Orders and Class Halls in lieu of garrisons, and the Broken Isles (new zone). I don’t know what to expect – I’ve seen the range. Burning Crusade was my favorite. WoD was a buzzkill. I guess I am expecting the middle. And the middle is ok with me. But what I really want is to be able to look forward to playing again. That’s what I miss most about WoW. I miss being 50 miles from home at a work meeting and talking WoW with a colleague, and knowing in the back of my mind that when I get home, I can crack a beer or two, run through some dailies, and chat with friends. I miss the excitement of phone calls with friends talking about new features. I even miss the loading screen music while I’m petting my dog. I want that back. I want the want back. Here’s to hoping Legion delivers.